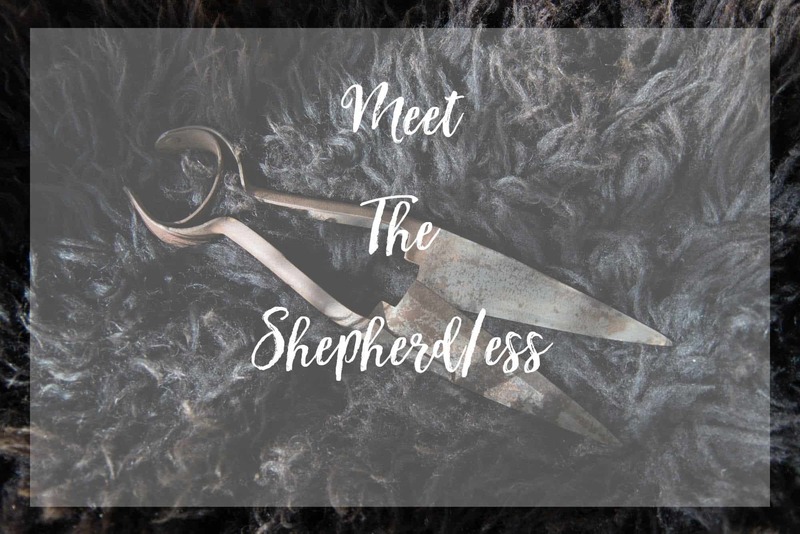 This is a special installment featuring some of the vendors from The Meet The Shepherdess event, at Edinburgh Yarn Festival 2018. I see that Jo and Mica have released the Festival images this weekend, so perhaps you may wish to listen and browse those incredible images. Relive the weekend a little with me! As soon as I heard about Jo and Mica’s plans to hold an extra event on the Sunday, following EYF, featuring small (some micro) wool businesses, I knew it would be a super special event. Think about this for a moment; a special event giving a big platform to small wool businesses. People working from their kitchen tables, people who create their yarn business around their farm and family life. Really dedicated and passionate people who are wild about wool and bringing an authentic and traceable product to your stash. These are exactly the sort of businesses who truly deserve to be in a large marketplace, with a wool-hungry crowd of shoppers, but who do not often have the opportunity to vend at large wool events. Thank goodness for EYF and – once again – their real insight in knowing what knitter’s want to see… and then utterly smashing those expectations! I spoke to 7 of the 12 vendors before my batteries (both actual and mental) ran down. 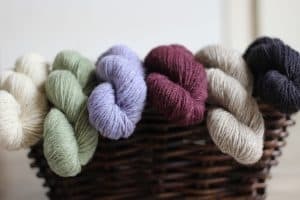 Rosemary says that the decision to make yarn from her Ryeland flocks, came directly from Sue Blacker! She convinced Rosemary that her coloured flock’s fleeces would make great yarn! 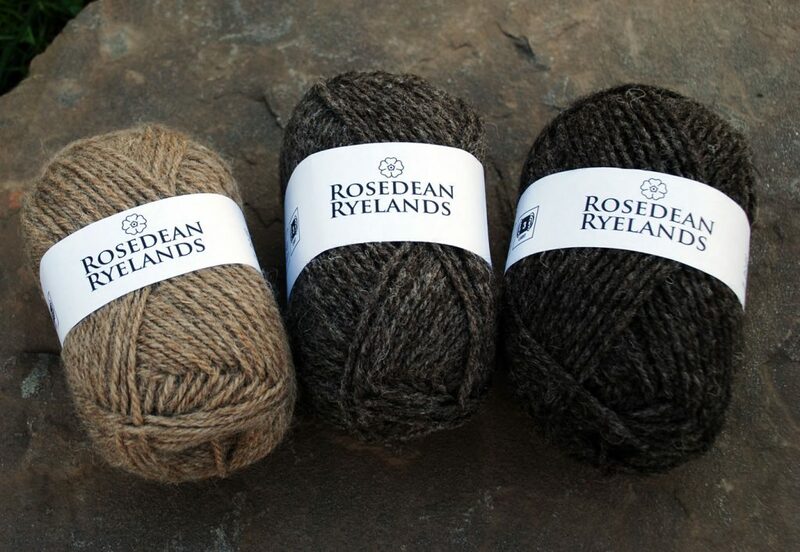 And anyone having used Rosedean Ryeland in our recent wool exploration, will agree! I asked Ronnie about his EYF experience and also about the other, very unique, wool event that he is involved with. For Ronnie, what ties EYF and Shetland Wool Week together is the shared language of WOOL! Pauline and Sarah were blown away by the reception they received at Meet the Shepherdess and almost completely sold out of their Blackface yarns and blends. Life Long Yarns was established in September 2017, but already people are coming back to show Pauline what they’ve made in her yarns! Amanda and Alberto brought their special yarns, from their Vermont fibre farm. They raise Romneys and Lincoln longwool (two great British sheep!) and Romeldale CVM. They work closely with their mill to create very special, single breed, yarns and the results are stunning. This was their first time vending at EYF. Its always exciting talking to Julie, she usually has such a lot of wool fun in the making – seeking out local fleece, creating great blends with the Border Mill, or giving local organic wool the care and status it deserves, by having it spun organically at the Natural Fibre Co! I first met Suzi at the EYF Destash a few years ago and she has beautiful Shetland yarns made from her own pedigree sheep. Since I first met her, she has added different weights and has begun dyeing. She was also blown away by how the Sunday market-goers had grabby hands for her yarn. I was not surprised. Her yarns are lovely. I hope to go and visit her and cuddle lambs next month! I included this wee interview in the last episode, but I wanted to include it again. I was so pleased to meet Meg and her special yarns. She has created an incredible palette of dyed Cheviot and Hebridean yarn to compliment her natural shades and they really speak of the landscape where the sheep graze, in the Hebrides. I didn’t realise that my batteries were running low when I was interviewing Rachel and Stephen, from Croft 29, so I haven’t included this as the quality is very low. It was great to catch up with them and hear about their new weaving yarn, which is forthcoming. Their DK yarn is made from the first Hebridean clip, but their weaving yarn is going to make use of the rest of their clip. I know lots of listeners will be interested in this! They found the EYF event to be really wonderful and Rachel said that it was incredible to know the work that they put into the sheep and farm and then see people enjoying the yarn at this event. Again, I am just so thankful to Mica and Jo for seeing that there is a need for an event like this, that gives a much bigger focus, to a much bigger audience, to these amazing wool businesses. I dearly hope that Meet the Shepherd/ess will become a permanent fixture for Edinburgh Yarn Festival. Thanks to everyone who spoke to me, to all the vendors, festival-goers and to Jo and Mica. Images belong and are copyright to those vendors, as mentioned in the caption and accompanying information. The feature image belongs to Edinburgh Yarn Festival. Such a great interview series. I have tears flowing as I hear the gratitude of the sheperd/esses speak of their gratitude — and knowing the commitment that it takes to do what they do. Thank you. My first time listening to your Podcast. Really enjoyed the “Meet the Sheperd/ess”. Learned about you from the Fiber Trek podcast, who I learned about from Andrew & Andrea of the Fruity Knitting podcast. I learn so much from you all. Thank you for your hardwork and time investment in producing a quality informative program. Next PostEpisode 104 – Reasons to be cheerful – books, books, books!